After more than 6 years of working with Filipino employees, I learned a couple things this week about the 13th month bonus custom in the Philippines. It’s LEGALLY REQUIRED! – I thought this was the case…but wasn’t completely sure. Paying it earlier in the month is better. It has specific formulas for calculating what is required! It’s NOT a Christmas bonus. A bonus is given ON TOP of the 13th month. WHY DIDN’T YOU EVER SAY ANYTHING TO ME??? My Filipino Employee Disappeared! What Do I Do? You recruit what looks to be a very talented employee in the Philippines. They do great work for 3 weeks. Then they disappear. BAM. GONE! This is one of the biggest problems employers have when hiring Filipino workers. This video explains what happens. Give more/better/proper training and 95% of the time you’ll avoid this problem. This was one of my favorite case studies. 2:30 – Emailed people. Was too specific. Scared people off. 3:03 – Hired someone who quit to help her Aunt <--- Chances are pretty good she gave this as an excuse because she didn't think she could do the job. 7:15 – Give detailed instructions! 9:00 – Be careful of who you’re hiring. 14:50 – Find what works for you! Try ReplaceMyself first. If it doesn’t work for you, try something else! 21:05 – DON’T SCARE AWAY POTENTIAL EMPLOYEES! 22:15 – Be prepared to have a lot of free time! 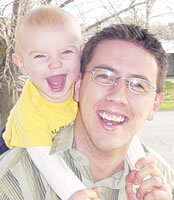 If you have an Outsourcing Success Story, Please share it!. I want to hear about your success (and I’ll probably give you some free advice if you do). Talk about “The Cloud” is everywhere. About 18 months ago we switched the hosting for my blog to use Amazon EC2 Cloud Computing and Amazon S3 Cloud storage. I had one of my GUYS set up everything and document every step of the way. He did an amazing job of it. We’ve been running my wordpress blog on amazon’s EC2 cloud for about 18 months and have learned A LOT! We’ve been through crashes, downtime, expensive time, and now cheap time. We’ve figured out things to do and things not to do. We’ll create more versions as I get feedback from people. The dates on the title page are older. We’ve updated the document, we just haven’t updated the title page. I know the document is rough. I want a few people to follow it and implement what it goes through in their business. Take notes and let me know what’s missing, what you don’t understand, and how you figured it out. I’m interested in making this document a more thorough guide so more people can take advantage of this resource for their business. If using this interests you, read through it. See if it’s way over your head. See if it makes sense. See if anything jumps out at you immediately as being lacking. I hope to make this a guide which more people can use. If you use it, use the contact form to let me know what’s wrong or what you like about it. Also, feel free to leave comments of things you find which you believe will help people. In this case study Tim lays out his hiring process really well. It’s not the same way I do it, but it works for him. Everyone is different. Figure out what works for you and stick with it. 4:25 – willingness to be on skype during working hours Everyone is different. Find what works for you! 14:00 – Different personalities do things differently. Figure out what works for you. 15:15 – Figure out what you really want to get done before you hire. If you have an Outsourcing Success Story, Please share it!. I want to hear about your success (and Iâ€™ll probably give you some free advice if you do). Scott is a good manager. This case study was a pleasure to do for me because time and time again I saw how he’s doing things right. It’s no wonder he’s succeeding. There’s a lot to be learned from this (even the parts where he’s not doing it right…and he KNOWS he’s not doing it right!). 12:10 – Scott created a full side business just based on the skills of his team! 14:30 – don’t hire someone to do everything! Hire someone to do 1 thing. 17:45 – Scott has a programmer in the UK. He could find the same skill set from someone in the Philippines! 20:35 – Hiring “by-the-hour”. A conversation for and against. 24:45 – Potential consequences of hiring on a per-project basis. 30:40 – Advice from Scott: be detailed in your instructions <-- this is a big deal. It's the biggest feedback I've gotten from my team is that they like detailed instructions. 33:05 – Put the onus on yourself – assume it was your fault first, that you weren’t clear enough <-- THIS IS HUGE!!! 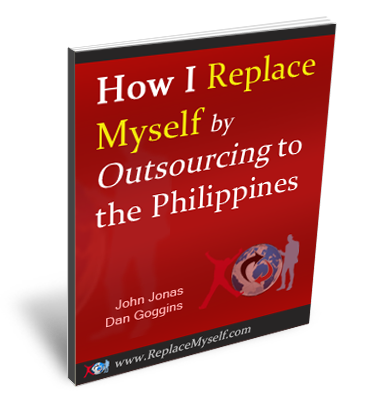 A full 8:44 introduction to outsourcing to the Philippines. lifestyle was by getting other people to do your work for you. In this video I explain how to do it.